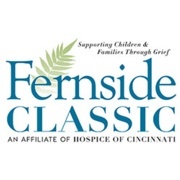 Fernside: A Center for Grieving Children provides support for grieving children and families. Last year, 1,324 children, teens and adults participated in a Fernside support group. All of Fernside’s services are offered free of charge. The annual gift from The Cincinnati Wine Festival supports five families in our Evening Program for one year. Below is the story about just one of the families who benefited from our program last year. Hi my name is Alexandra Jester and I am 17 years old. In September 2013, my younger brother Matthew passed away unexpectedly from Type 1 Diabetes. The loss of Matthew was horrible for my family. We were struggling terribly. Trying to stay focused and attend school and keep my grades up was very challenging. One night my parents sat the family down and explained that they felt it was important to try a counseling group named Fernside. In the beginning, I had mixed emotions about sitting in a room with others and telling them how I was feeling. We started our group each time sharing a happy and not so happy moment and from there we learned ways to deal with our sadness…and ways to remember our loved ones. Many times on the way home from Fernside, we would each talk about our feelings of that evening. It proved to be an excellent bonding for our family. It was a great family moment. It allowed us to openly talk about our emotions with each other and we would have some laughs too! After attending Fernside for 5 months, my family endured another horrible tragedy. My dad, Keith, was killed in a work-related accident. After going through one horrible loss, you think that you are immune to another. This wasn’t so…Now we had more pain to endure. My dad was our rock for our family. He was strong and a driving force behind our family attending Fernside. He believed Fernside would help his family cope with our grief, heal us, and bring us comfort. We have had a lot of support and prayers from our family, friends, school, and community. We feel their love and compassion. However, Fernside gives us something more. I have learned that it is ok to be sad and it is ok to be happy. I believe I have become a stronger person since attending Fernside. I look forward to attending my group. I see friendly faces and warm smiles each time I go. Fernside has become our rock. We all share significant losses and feel significant pain. A pain that we know will always be a part of our lives. Fernside gives us a sense of home. It’s comforting knowing that I can look beside me into the eyes of a Fernside friend and know he or she feels the pain and sorrow and loss that I feel. We don’t have to always speak it but feeling and knowing that we are not alone in our journey is comforting. We are comfortable here. We have become a Fernside Family.